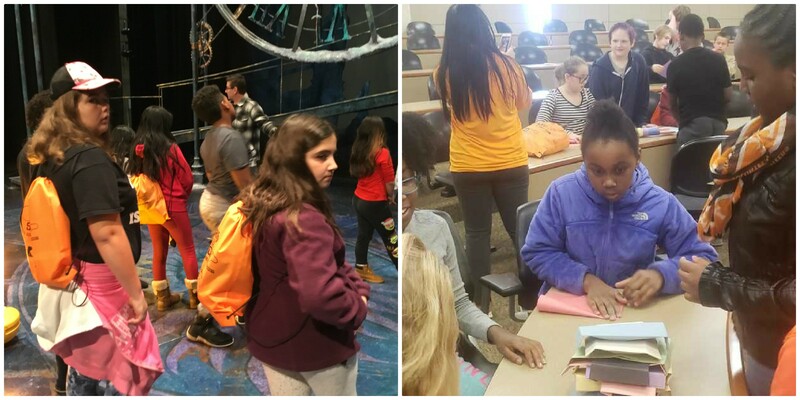 Project GRAD K-8 Team started the month of December by holding one of its signature events, the ECAP (Early College Awareness Program) at the University of Tennessee. This year’s event took place on Saturday, December 1st from 9 AM to 2 PM. Over 90 students and parents from multiple GRAD supported schools were in attendance. Students, parents, and teachers explored the journey from elementary school to college. University of Tennessee faculty and staff shared expectations for future UTK Volunteers. Current UTK students revealed what life was like on campus. Students and their families were treated to tours of the Clarence Brown Theater and the Black Cultural Center. This annual event is always a fan favorite. Project GRAD is thankful for its long standing and thriving partnership with The University of Tennessee Knoxville. Go Vols!